Spring is coming and I am so exited! 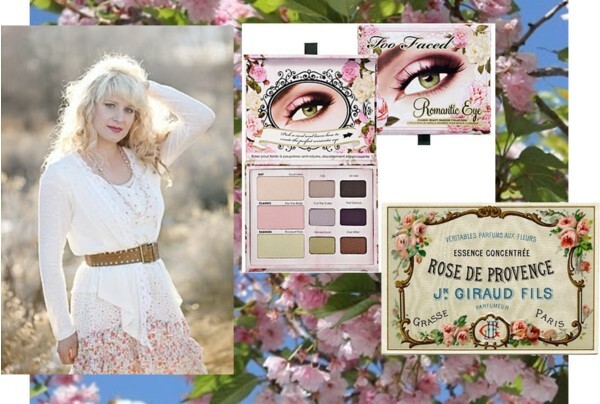 Romantic Eye Shadow Collection is perfect for a romantic style or everyday look. Gorgeous Eye Shadows, feminine and romantic. I use them in 3 looks. Following the lines from left to right. The colors look insane on my eyes. Add more on your lid of the last Eye Shadow and you have intense and night time looks too. Very favorite right now! Enjoy! Next giveaway is March 15. I love romantic look so much! I love the romantic look. It looks great with curled hair and lacey clothes I think. So dainty and pretty. I like it! I don't think I'm a fan of dramatic looks so this is right up my alley! I really like it, it's lovely! I love it. Personally, I think it`s timeless. Ah Frenchy, you look gorgeous as usual. Hope you and fam have a great weekend. I love the romantic look! Thanks for the chance to win. BEAUTIFUL post:) I follow your wondferful blog and I hope you follow me also. I love the romantic look! I just love the romantic look! I love the romantic look! It's feminine, elegant and pretty! oh, yes! i love it! I love the romantic look! I've never tried Too Faced but makeup is a big toy for me. I like romantic look! Who dont?! The romantic look is fantastic!